On February 2 and 3 I spent two nights of imaging at La Palma, one of the Canary Islands that belong to Spain. A friend and former colleague of mine is working there as telescope operator of the Isaac Newton Telescope at the Roque de los Muchachos observatory and a colleague of mine and me visited him for the weekend. He gave us a fabulous tour of the observatory and showed us several telescopes up close. And we brought our own imaging gear which we used to take images. I brought my Canon EOS 700D, William Optics 71 mm ZenithStar ED refractor and my HEQ5 mount. The weight of my luggage exceeded the 23 kg limit but I was allowed to check it in without additional costs, whew! The conditions weren't great. Lots of wind and bad seeing (2" to 3") due to wind coming from the east bringing warm Sahara air. But the skies were very clear and transparent and the SQM showed values around 21.8 which is very good of course. On Saturday night I took 36 images of 5 minutes each of IC 405 and IC 410. IC 405 is also known as the Flaming Star nebula. 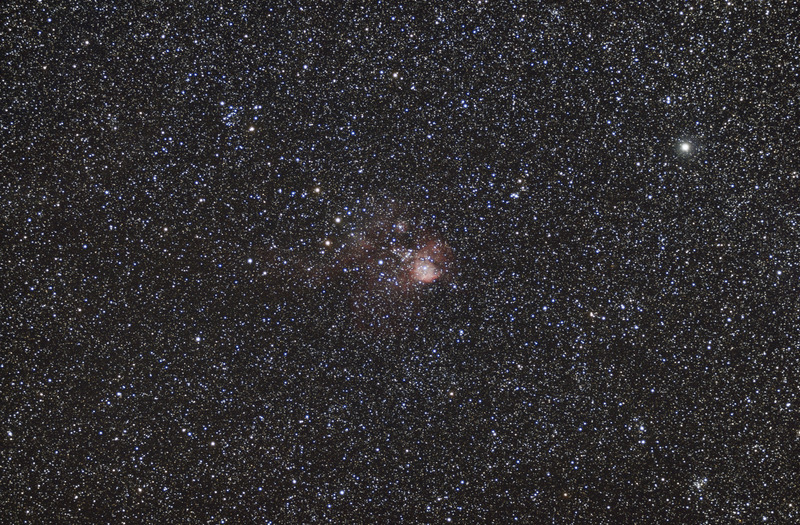 Then I took 24 images of 5 minutes each of NGC 2467, an emission nebula in Puppis. The object is very small and I wll give it another try with my 20 cm RC and ASI1600MM-C. Still it turned out as a nice image if I may say so myself. On Sunday night I started with 36 images of 5 minutes each of the Rosetta Nebula. 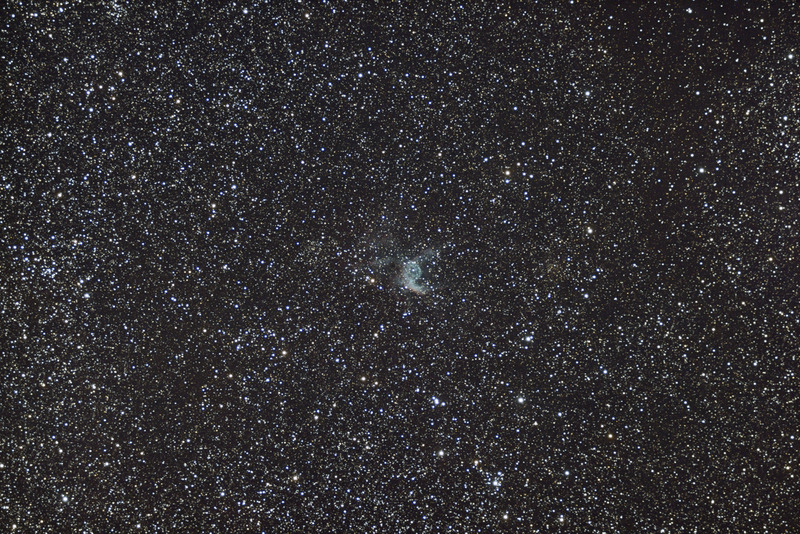 And I ended with 24 images of 5 minutes each of NGC 2359, Thor's Helmet. 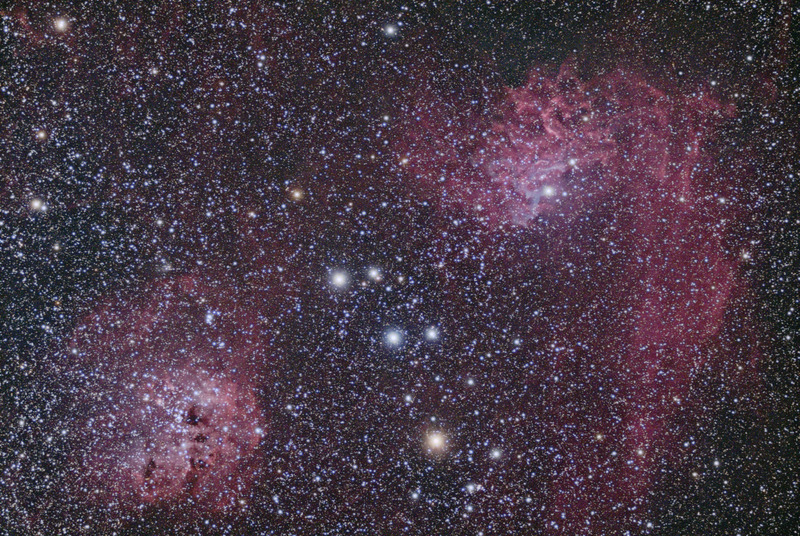 Again this nebula is very small and I will try to image it with the 20 cm RC. all stacking and background calibration was done in AstroPixelProcessor. Post-processing was done in PixInsight. All in all a fantastic weekend! 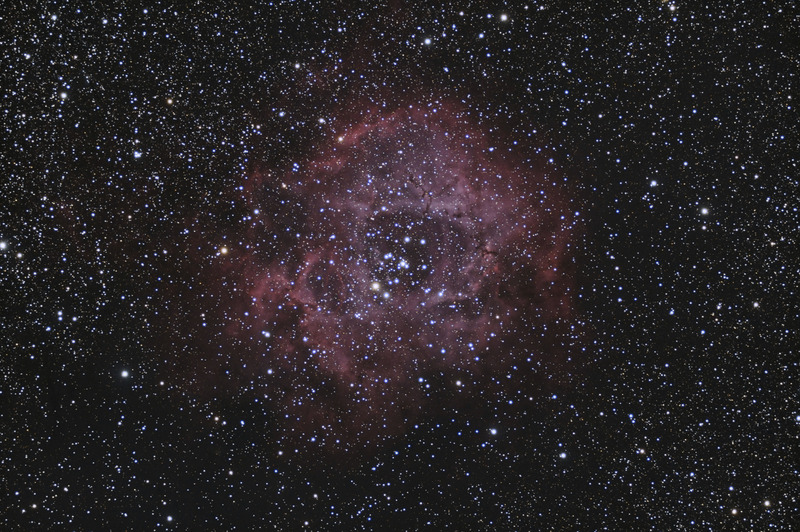 I have reprocessed the Rosetta Nebula because I found the saturation of both the stars and nebula too high. This time I also applied HDRMultiscaleTransform and LocalHistogramEqualization to bring out more details. OK I removed the previous re-edited pic and replaced it with this final one.